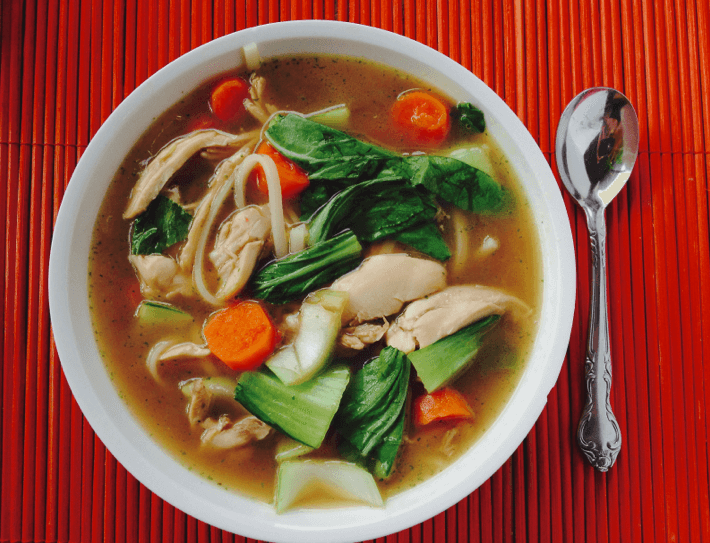 This soup is an awesome take on chicken noodle soup. The soy sauce is balanced by the sugar and acidity of the lime. 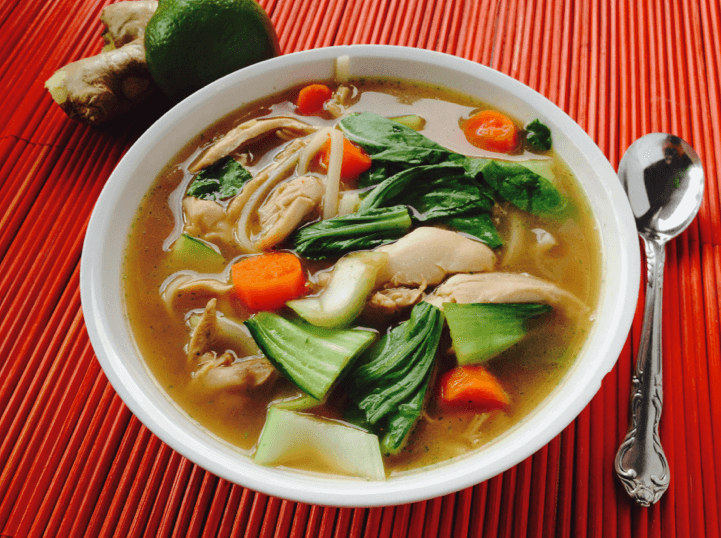 I ended up having a lot of extra broth, which is great to freeze to use for a quick replica meal any day of the week! This soup is comforting, but also light and refreshing; the perfect meal to have while you focus on resetting your clock (and perspective on the winter ahead!). Heat oil and butter in a large pot over medium-high heat. Season the chicken with salt and pepper, then sear the quarters on both sides. Add the celery, carrots, garlic, ginger, soy sauce, stock, cilantro, lemongrass, bay leaves, red pepper, sugar and zest of 2 limes. Add 2-3 cups water to cover the chicken. Bring to a boil, then reduce to a simmer. Cook until chicken reaches 165F (about 20-30 minutes). While chicken is simmering, cook the rice noodles in boiling water until tender (about 5 minutes). When the broth is finished, remove the bay leaves and lemongrass. Shredd the chicken and remove bones from broth. Divide rice noodles and sliced bok choy among four bowls. Top with chicken broth mixture. Juice ½ lime over each bowl before serving.